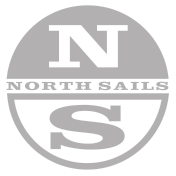 This full radial paneled mainsail has been developed to compliment all mast sections for all sailors’ requirements. The T-10 is manufactured from North Xi06 Technora cloth optimized for radial panel layouts. The sail was used to win the 2016 World Championship & UK Nationals.